Nha Trang is Vietnam’s most famous seaside resort-town. It’s the place to go if you want to do some scuba diving, snorkeling, sailing, or just soak up sunshine on the beach. Where do you go if you want to partake in all these activities and more? The Sailing Club of course! The Sailing Club Vietnam has three locations around the country: Nha Trang, Hoi An, and Mui Ne. Their founding location in Nha Trang, offers 3 restaurants: Sandals, Sen Lotus, and Taj Mahal. It also offers a beach bar, a night club, island day trip excursions for snorkeling and diving, water sports, and sailing – all on a beautiful beach side setting. We dined at the Sailing Club for dinner one evening with our friends Tom & Elaine. Since we were all staying at the Sheraton and enjoying its amenities, we didn’t get a chance to venture to the Sailing Club during the day. However, it’s similar to Louisiane Brewhouse, in that you can rent beach lounge chairs for a couple dollars and spend your day indulging on their beautiful beach location. 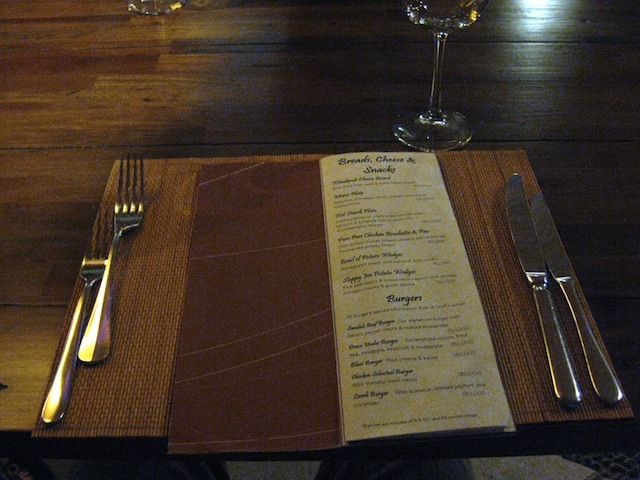 Their Sandals restaurant offers an intimate and sophisticated dinning experience. The menu provides unique food choices, combining flavors of Asia, Mediterranean and pacific rim, with fresh local and international ingredients – all expertly prepared by South African master chef, Louis Walters. Prawn Mango Curry (approx. 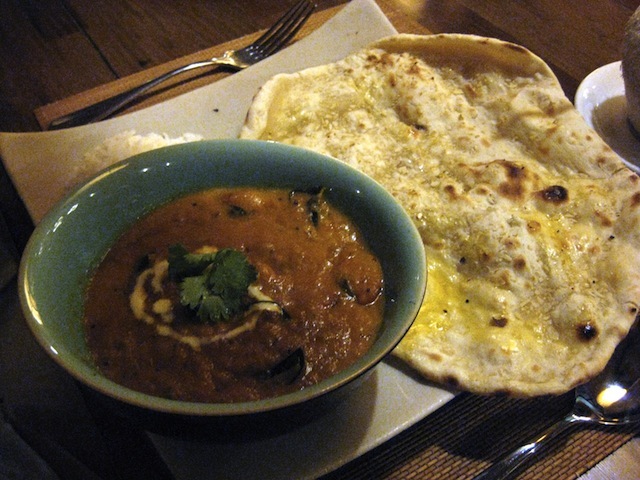 $8 USD) – served with buttery garlic naan bread and steamed rice. The sweet and sour mango curry was a nice balance with the crunchy prawns. Excellent naan as well. Seafood Feast (approx. 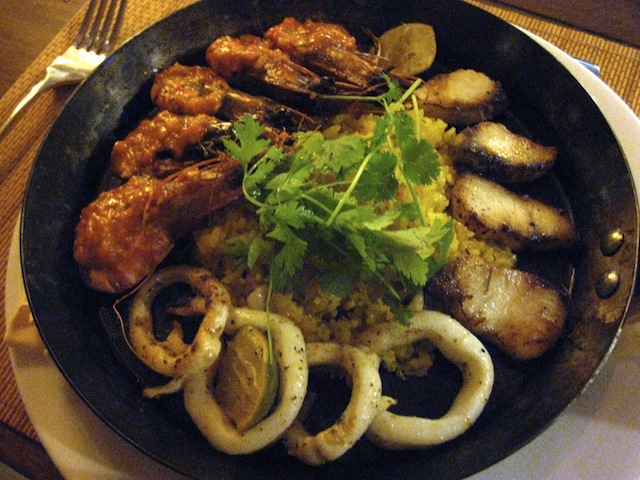 $10 USD) – grilled squid, fish, prawns and rice. Since the name said ‘feast’, we were expecting a little more seafood. However, the dish was tasty nonetheless. 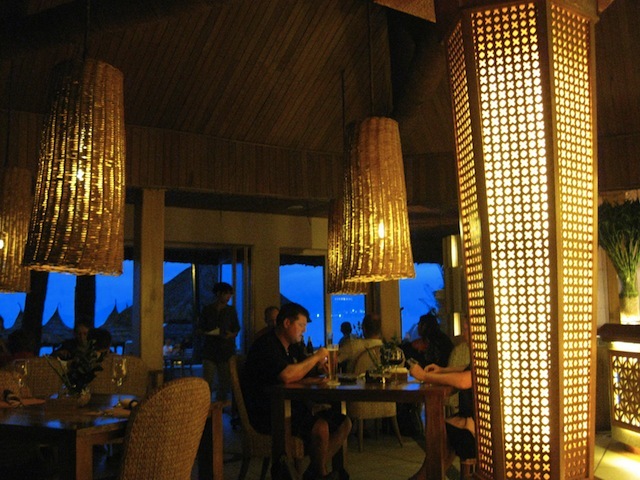 Overall, the Sailing Club Nha Trang offers a lovely dining experience and beautiful surroundings. The Sailing Club (and the Louisiane Brewhouse) is a must during your stay in Nha Trang for great local and international food, drink deals, and loads of entertainment.